2. Combine all the ingredients in a large bowl, and mix together. Don’t overwork the meat because it’ll end up making for tougher meatballs. 4. Bake for about 15 to 20 minutes or until the meat is cooked through. Spaghetti Squash is a healthy substitute to pasta – low in calories and fat! 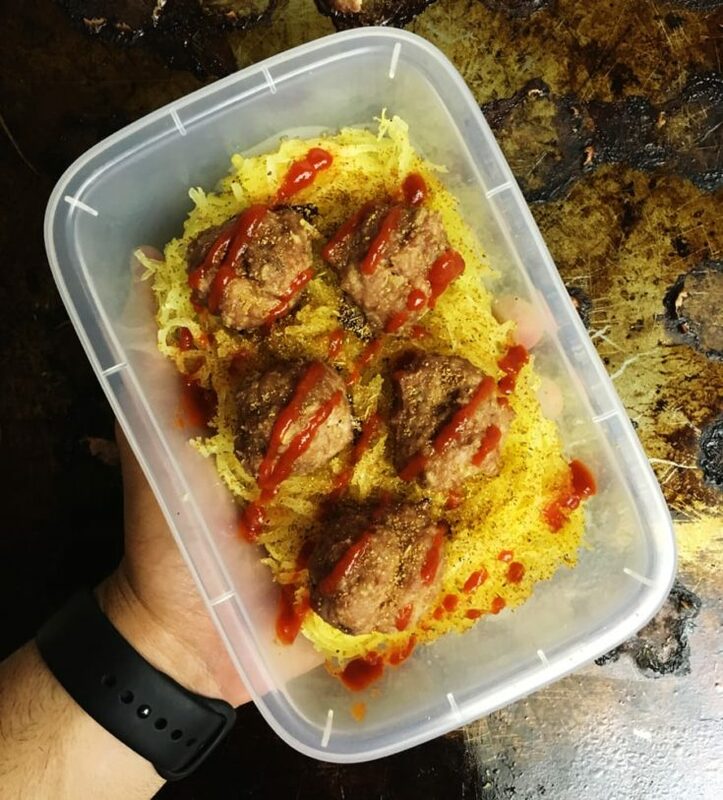 Here is one of the easiest spaghetti squash meal prep recipes you can make. This is The simplest and EASIEST way to meal prep with spaghetti squash. Preheat oven to 400 degrees F. Lightly coat a baking sheet with nonstick spray or cooking oil. Cut the squash in half lengthwise from stem to tail Use a spoon to Scrape out the seeds. Drizzle with olive oil and season with salt and pepper, to taste. Place squash, cut-side down, onto the baking dish. Place into oven and roast until tender, about 35-45 minutes (depending on size). Remove from oven and let rest until cool enough to handle. Using a fork, scrape the flesh to create long strands. 2. Combine all the ingredients in a large bowl, and mix together. Don’t overwork the meat because it’ll end up making for tougher meatballs. 3. Use a ⅓ cup measuring cup to portion out the meat. Gently roll into a ball and place on the baking sheet. Do this until all your meat is gone 4. Bake for about 15 to 20 minutes or until the meat is cooked through.